California technology leader joins global IT consulting firm. 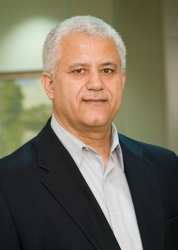 Roseville, CA, January 04, 2016 --(PR.com)-- Davood Ghods has been named Vice President of Government Practice for Direct Technology - a global software and IT consulting firm headquartered in Roseville, CA. Mr. Ghods retired as leader of California’s Office of Technology Services in August of 2015. During his 26 years of service, he sought to improve customer service and increase Information Technology services in the state. Mr. Ghods is an alumnus of California State University, Sacramento, and has a bachelor’s degree in Computer Science with a Master's certificate in IT Service Management. Mr. Ghods has been living in the Sacramento area most of his life. He currently lives with his family in Folsom, California.